I found this photo of my Mother, Lucy Kate Belcher, in the Georgia Archives on the Web. Check out the hair on the driver. Looks like a woman driving the car. My mother, Lucy Kate Belcher[1918-1985], was delivered by Dr. Wallace, Gov. Wallace's Grandfather, on October 7, 1918 near Baker Hill . Less than a year later Dr. Wallace's grandson, GEORGE C., was born in nearby Clio. To answer your question about the size of the 446th Bomb Squad, a squad was usually manned by about 100 officers & 350 enlisted men. The 446th insignia was Bugs Bunny shooting two six guns riding a bomb that's got eyes. Your Grandpa's unit was the most accurate bomb squad in the entire war. When they weren't bombing, they were dropping sandbags on a target near the landing strip. There was good reason poor Glenn was a train wreck every Monday, if we had played a gig over the weekend. If there was a Friday gig, as well as a Saturday one, we skipped school altogether, and Kim Venable would drive down and collect us, and back to Tuskegee, before lunch. Kim was an only child, and his overindulgent father had built a small abode behind their main house for the sole purpose of letting Kim practice his drums in the privacy it provided. It also served as a place for the whole group to jam, and offered storage for instruments, and several beds, a shower, and a refrigerator for the beer that flowed nonstop. His dad was into some sort of foundry/iron work there in Tuskegee, and had made the trailer we used custom, to fit exactly what was needed on the road, and Glenn and I were welcomed guests, either in the large home, or out back in that " Rumpus Room". His mother cooked exceptionally fine Southern meals, and we were expected at the dinner table with each of these. If the gig was close by, we came back to Kim's house; if not, it was the usual motels. By Sunday, everyone was blown out, so someone driving us back to Dothan was out of the question; off to the airport in Montgomery (30 miles away), and home on the most rustic, noisiest old airplane I've ever been on. It was some pre-WW2 thing, but a flight, for 11 bucks got us home around 10pm, with Glenn's mom collecting us in Dothan. Most of the time, I just spent the night there, and also arrived at school looking like an unmade bed, as well, if I went at all. Even teens have a breaking point, where sleep is involved. Kim's parents treated us like their own, and were gracious, gentle folk, a kindness I'll never forget. Marvin and Tommy also lived in Tuskegee, with Ray Goss not far away in Tallassee, so we were off and running in no time flat. Most gigs during the school year were at Auburn, in one fraternity house or another, and an easy drive back to Tuskegee. How can I forget wading ankle-deep in spilt beer, loading the trailer, after one of those frat parties? The frat boys made sure we had a good time, too, but I was always saddled with the job of driving, so I had to remain somewhat sober. No one at any of the parties drank more than Tommy "Swampman" Mann, the singer, but we were used to that; he did it without fail, if alcohol was available. I recall gigs in dry counties where my first taste of "moonshine" happened, but a party was had, somehow, after each gig. The groupies and hangers-on always provided us with something, back in the motel of choice, and we never declined. Now you know why Glenn Griffin slept during study hall, every Monday; he was part of the "Outer Mongolian Herd"
You asked, so here goes. I was born in Moody Hospital on September 9, 1948, same day as a sax player named Joe, a guy I met in high school, in Mrs Hamner's French class, I think, so I guess it was a good day for great ears to be born. I have no idea why my allure to music was what it was, but it was, and I have never stopped learning about music of any sort, to this day. A passion, perhaps, but a lifelong companion, and one I love. My introduction to it so young came as a surprise to me, but I can now recall at age 60, just how exciting it really was. A road manager for the K-Otics at 16-18, working with the Rockin Gibraltar's between, all while attending Dothan High, with far less success as Buddy Buie recently told of in his eloquent speech at the 50th reunion. Go to school during the week, meet up with the band on weekends, with one problem: Glenn Griffin (the keyboard man) and I were in Dothan, the other 4 were near Montgomery. Most times, they collected us literally, from in front of the high school, and off we went to play some gig at Auburn or in one of the small towns where a dance with a live band was a treasured thing. Either made money, and the booking was not handled very well, so I saw a chance to make it happen. In those days, you found a hall, a REC. center, or an Armory, paid a modest sum to have a dance, hired an off-duty cop, and all was fine. Put a few spots on a local radio station, and 400-600 kids would show up, at a buck a head. I had previously learned this from Buddie Buie, so credit goes to him. We played all over Southern Alabama during one summer alone, 17 or 18 gigs in every venue imaginable, but what a time we had! Alabama didn't have a boundary back then, so northern Florida, western Georgia and Mississippi were fair game, too. 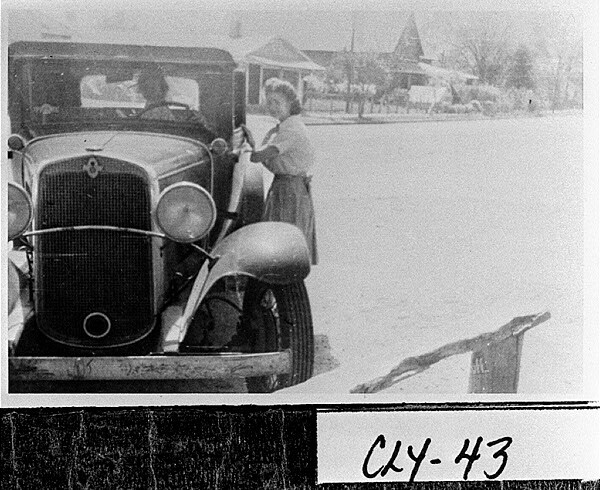 A big, cushy Cadillac with a custom made trailer was icing on the cake with K-OTICS emblazoned on it, as it and the long hair plus the mod clothing drew careful attention from the locals, all over the conservative South. The original members of the band were Kim Veneble, drums; Marvin Taylor, guitar; Ray Goss, bass; Glen Griffin, keyboard, and Tommy Mann, vocals. I believe Kim Veneble went on to play for Classics IV, and have no idea about the others, after 1968. They were good musicians, spontaneous, and eager to learn, so I would buy current top 40 hits, decipher the lyrics, and they'd cover the song. That, combined with a rich repertoire of R&B was exactly what live audiences wanted to hear in those days, making it easy to please. They also had state of the art equipment, all Vox amps from England, a Vox keyboard, with a Fender Rhodes on top, Gretch and Gibson guitars, and AKG mikes. Not too shabby for the mid sixties. Did I mention they were all privileged youth? Next post, I'll tell you about the studio time at Fame, in Muscle Shoals, and Stax/Volt in Memphis, cast of characters, and all. STRAIGHTENED OUT WITH THE K-OTICS. HE DID. HE NEVER BOOKED ONE SHOW FOR US. DONE ITWITHOUT A BIG TIME MGR. HIGH LEVEL CONTACT. IN THE INDUSTRY. HAVE SIGNED US WITH A MANAGER EARLIER. A MISTAKE NOT TO HAVE DONE SO. ASK ME COME SEE HIM IN 1965. TO HAVE SUCCESS WITH "CHARLENA". YOU HAVE SOMEONE IN THE MUSIC BUSINESS ON YOUR SIDE. WHEN THE BOOK IS WRITTEN.! L.S.D. AND BROUGHT HIM TO MY ATTENTION. CAME IN WHEN DINK LEFT. OR SIMULTANEOUSLY WHEN HE REMINISCENCES. We want all the stories! & I got to see how wasted he would be on Mondays. He was always in a daze on Monday. He always slept during study hall when Mrs. Harmon was out of the room. I helped him with his books. Man, I got all the stuff on The Webs, Wilbur Walton Jr., The James Gang, The Candymen, The Rubber Band, The K-Otics, and The Rockin' Gibraltars. Trying to get something going with THE OUTER MONGOLIAN HERD. You send the stories & you'll get a whole lotta feedback! Above image: From the "The Heeey Baby Days of Beach Music"
Many have emailed about Ray Whitley following yesterday's post. One of the greatest composers of the Hey Baby Days, Ray Whitley was responsible for some of the era's greatest songs (some of which were hits in other genres)i.e. provided there is a genre other than Beach Music. "What Kind of Fool ( Do You Think I Am )"
"You Lied To Your Daddy"
I'm telling you blood, these Yankees had more money than it'd take to burn TWO ASBESTOS MULES! From the keyboard of THE ROCKER! Sad to hear about Ray Whitley. He also wrote (I think) The Joker Went Wild by Brian Hyland as well as two songs on the first Candymen album (Roses Won't Grow in My Garden, and Happier Than Them). He must have played us 20 songs (which we didn't think we good for us) and those were the last two he played. I remember asking him, "why didn't you play them first"
We used to go see him play at a small club in Atlanta, and I think we helped him come and play at The Scene in New York. As the fundraising chairman of the Friends of the Library, one of my personal goals for Dothan's new library is to have kiosks where folks can go and listen to the music created by our Dothan folks. In that area, I would love to display album covers from our "stars." I also am very proud of the contributions of our guys. City of birth: Columbus, Ga.
Born in Columbus, Ga., Ray Whitley was only 14 years old when he formed his first band. Famed producer Felton Jarvis discovered him and introduced him to music publisher Bill Lowery, who took Whitley on when he was 17 years old. His first song, �Deeper in Love,� was released on Vee Jay in 1962. Whitley was not only a performer, but a talented songwriter who penned hits for other artists in the Lowery stable, including �Be Young, Be Foolish, Be Happy,� �What Kind of Fool� and �Hey Girl� for The Tams, �Everything Turned Blue� for Billy Joe Royal, co-wrote �Nighttime� and �Leave Her� Tommy Roe, the Swinging Medallions. My mother died in '85 & the Altrusa Club of Dothan is still giving away a scholarship in her name. It's called THE KATE REGISTER NURSING SCHOLARSHIP & it pays up to $1,080 to a student during each term at Wallace. I came across your blog through a google search for a man that I met recently. I'm involved with a ministry that brings food for the flesh and food for the soul through the word and music. At a homeless shelter in Gainsville, Ga I met this man playing guitar and singing to the other residents there. Through conversation I learned two things about him (other than being homeless). First he is very nearly totally deaf, and that his name is Ray Whitley; besides being an artist in his own right is author of many hits for such greats a the Tams, Billy Joe Royal, Tommy Roe, The Swing Medallions etc. Just thought you guys would want to know . I wish I knew how to post on your blog. Note: I have responded to Tom and will be in touch with him over the few days. Hopefully, we will come up with some ideas that will help Ray. Ray Whitley gave us some of the greatest songs of our youth. Maybe we can give something back to Ray. Fred Moody has been sending me your blog for several months, and I've enjoyed the news and photos, but, recently, for one issue or another, I no longer see pictures when Fred sends these. Yesterday, my name was mentioned along with several others, and Fred says it's a photograph. I'd love to see this picture, if you can make that happen, or tell me how to log on to your blog. I was very much a part of the "music" scene in Dothan, albeit a quite young novice, and had great experiences with several bands, and of course Buddy Buie. I was a roadie for the K-Otics along with Glenn Griffin, the keyboard man, both of us living in Dothan, while the rest of the band was in the Tuskegee area. I also booked and worked with The Rockin Gibralters, traveled with them a bit, and knew them all quite well. A recent entry into your blog was from Bobby DuPree, whom I remember along with Keith, Rusty, Sonny, and Charles; we had many a good time, back in the day. If Buddy was bringing a show to Dothan, I knew I had work. He always found something for me to do, and I ate it up. One time, he came walking into the Sports Palace, with another guy wearing dark glasses. He promptly got himself into a big money game on the front snooker table, came over to me with a 10 dollar bill in hand, saying "Play pool with him", indicating the man in the shades. I asked who he was, and Buie snapped "That's Roy Orbison, you fool!". So I played pool with Roy Orbison for 2 hours. A few years ago, in a documentary about Roy, he told of leaving his regular glasses on an airplane, in Dothan Alabama, forcing him to go onstage in his sunglasses, which eventually became a trademark. I may have been the second person ever to see the great Roy Orbison in shades. Backstage, at the Farm Center, I met half a dozen performers Buddy brought down, including Jerry Lee Lewis, Tommy Roe, and Brenda Lee, amongst many others. I knew Wilbur Walton, and the rest of the Candymen band, later the James Gang, all never knowing I was witnessing a part of history, still intact today, thanks to your efforts. I live, and have lived in the San Francisco Bay area for 37 years, but never lost contact with my friends in Dothan. The passing of LC Green was of particular interest to me; how can one forget ole LC? If you walked into his store, he made sure you didn't leave empty handed, whether you had any money or not, and half the young guys in town owed him money, myself included. It became a running joke with us all: we all owed LC Green money. He had hip-hugger checkered slacks, while the rest of Dothan High wore Gant shirts. One pair of these got me expelled, an experience I'll never forget, class of 1966. Buddy Buie's speech at the class reunion was especially touching, his fond recollections of so many things past, yet his optimism for the future said it all. I understand his recent heath issues have been put past him, and I hope he enjoys years of progress. I've enjoyed reading about how most of this came to pass, things I knew, and many I did not. I left Dothan in 1967, and never looked back. I did, however, never lose touch with those fond to me, and made an effort to visit, regularly. If you can send me this photograph, I would be eternally grateful. Many thanks to Mr. Buddy Buie for the article about Studio One recording studio, formerly located in Doraville, GA. I read about it on the wikipedia website. I happen to live just a few miles from that area. I recently visited that location from the address of that article. I know Studio One was demolished some years ago. The business building that stands there now has a door where "3864 Oakcliff Industrial Ct." should be, but its left blank, I guess out of respect to Studio One. I think a some kind of monument should be established at that location as a historical landmark for recognition of those classic and historical recordings by those great bands. Some of those recordings made a huge impact and influence on the history of rock and roll and are recognized all over the world. I am a big fan of those bands. Thanks again.